If you’ve never had chimichurri, you’re missing out. 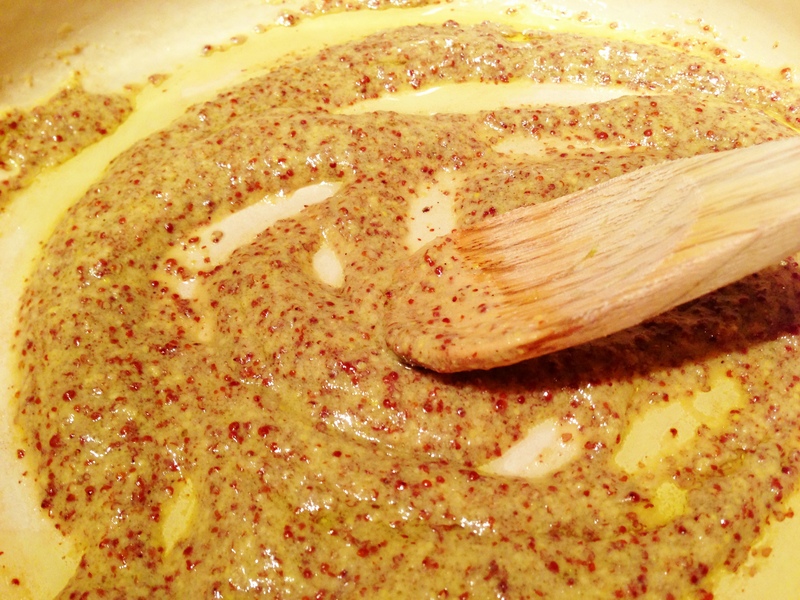 It’s an Argentinian condiment, similar to pesto, that contains parsley, garlic, oregano, garlic and onion. 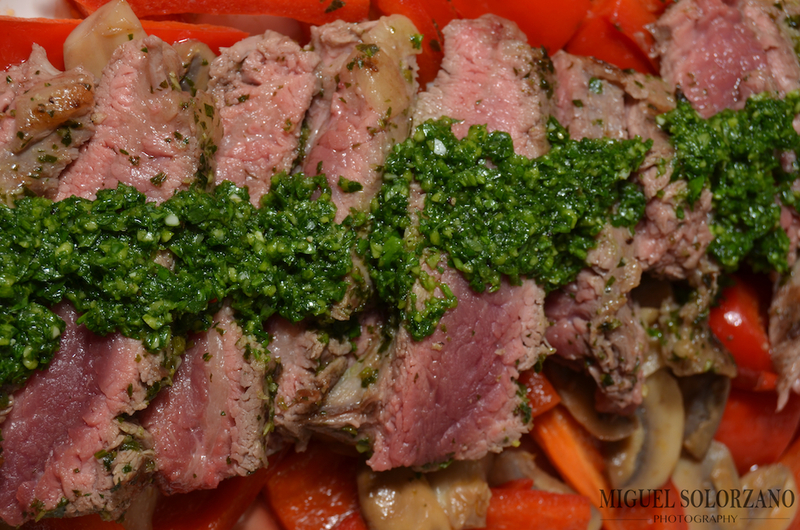 Chimichurri pairs very well with red meat so this recipe combines one of my favorite cuts of steak, the flank. While it’s no filet, flank steak is still a nice cut that’s very versatile. 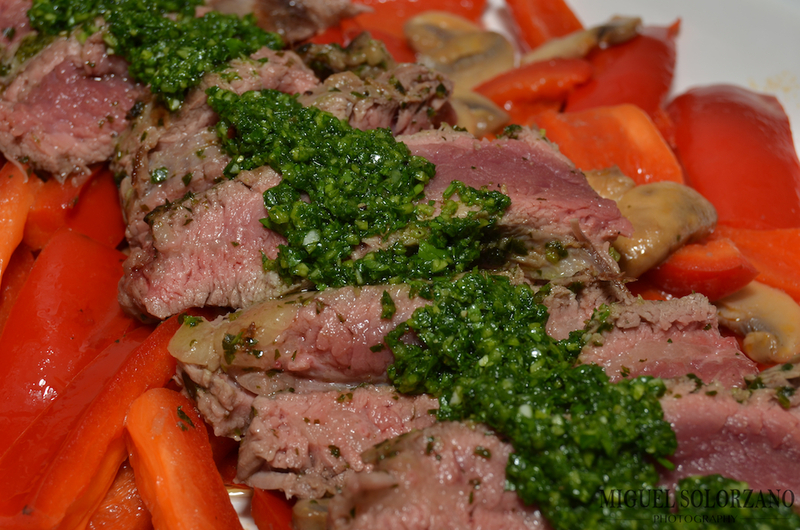 I decided to turn the flank steak I had into Flank Steak with Chimichurri Sauce. Finely chop the parsley, fresh oregano, and garlic (or process in a food processor several pulses). Place in a small bowl. 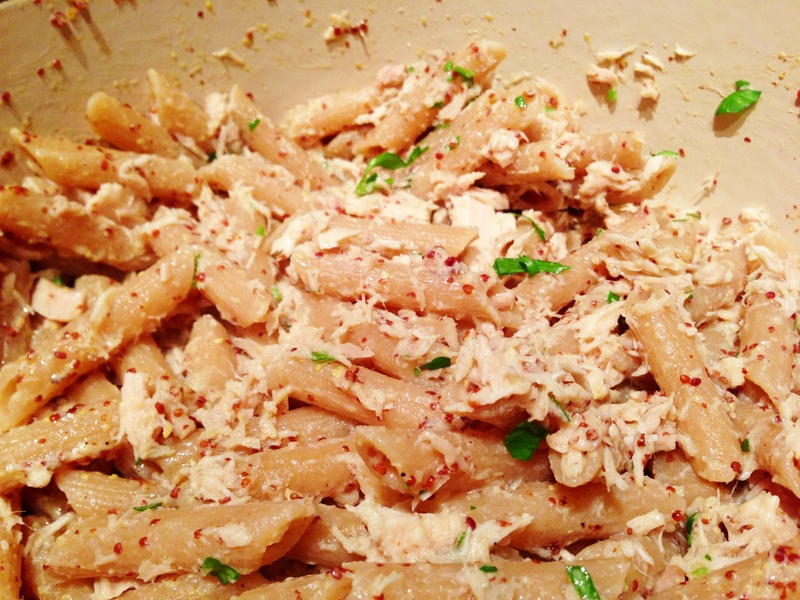 Stir in the olive oil, vinegar, salt, pepper, and red pepper flakes. Adjust seasonings to your preferences. Preheat a charcoal or electric grill. Cook steak to desired temperature. I went with medium-rare. In a medium pan, saute the red pepper and mushrooms in butter and olive oil until cooked. Once steak and vegetables are cooked, make a bed of vegetables on a large serving platter then top with steak. Spread sauce over steak and serve. 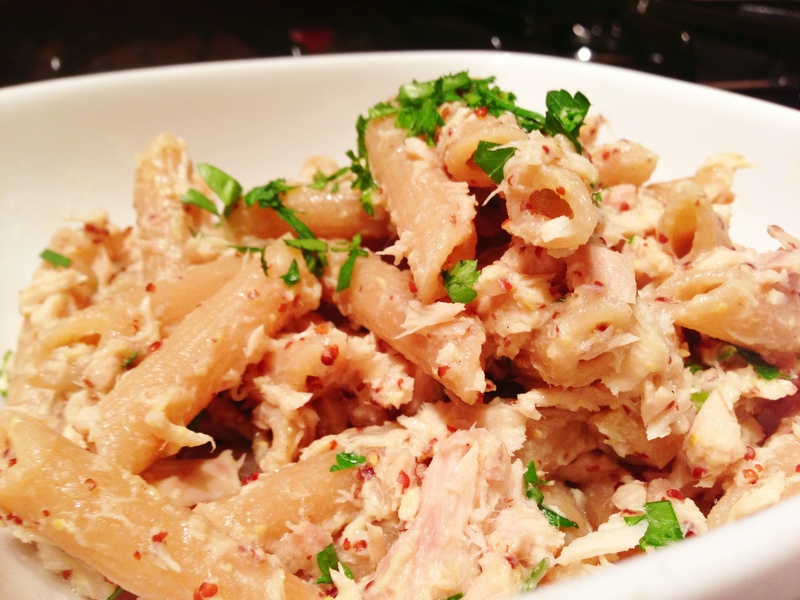 This dish is great served cold or warm, it’s up to you. 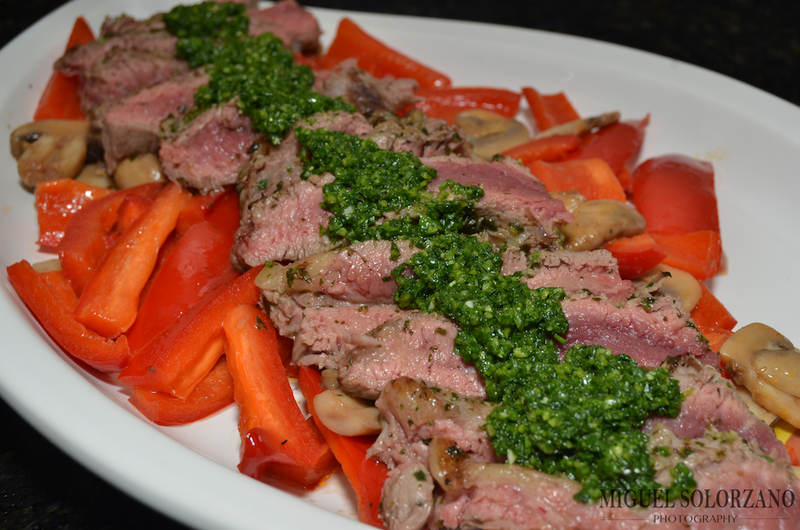 Feel free to add other vegetables to accompany the Flank Steak with Chimichurri Sauce. Since I didn’t want to bother with going outside to grill, I used a George Foreman Grill and the steak still turned out perfectly (even it was missing some char).